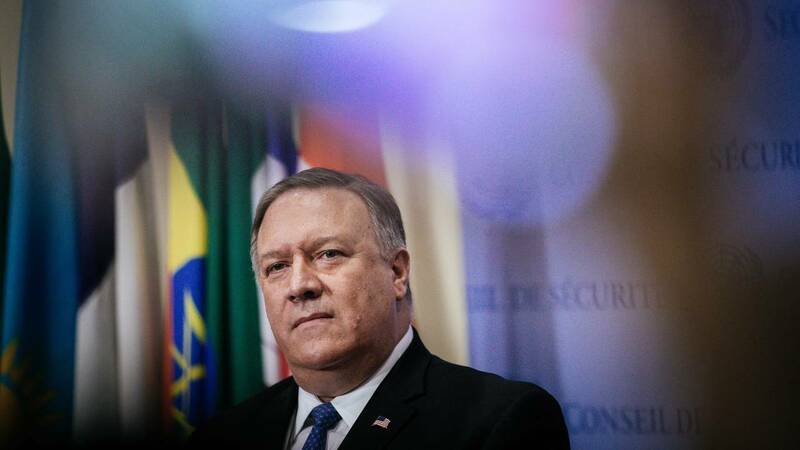 (CNN) - US Secretary of State Mike Pompeo on Saturday called the Venezuelan government of President Nicolas Maduro "illegitimate" and said the United States would use diplomatic efforts to try to restore democracy in the economically battered nation. Pompeo made the remarks two days after Maduro began another six years in power. The top US diplomat was talking with journalists in Abu Dhabi during his Middle East tour. "The Maduro regime is illegitimate," Pompeo said. "The fact that Maduro decided to hold an inauguration after a sham election doesn't change America's direction and intent." Pompeo discussed the humanitarian crisis in the South American nation and in the region, with almost 3.6 million Venezuelan refugees displaced because of the catastrophic economic crisis hitting the country. More than 1 million people are expected to leave the country this year, Pompeo said. This crisis will create "an enormous burden on the region and, more than that, the suffering that will take place inside of Venezuela if we don't restore democracy," he said. Asked what strategy the US had in place to deal with Venezuela, Pompeo answered, "We're always looking at all the options with respect to how we execute diplomacy and how we influence the outcome there." The socialist President defended his legitimacy in a speech Thursday after his swearing-in in Caracas, decrying what he called a "permanent campaign of lies" about him and his late predecessor, Hugo Chavez. "We're a real democracy and I, Nicolas Maduro Moros, I am a truly democratic president," he said in a televised address. The regional Organization of American States has said it won't recognize his new term. The May election that returned Maduro to power was boycotted by opposition groups and largely discredited by opponents in Venezuela, with hundreds of complaints of election violations and a low turnout. The OAS said Thursday its member nations voted 19-6, with eight abstentions, to not recognize the legitimacy of Maduro's government. One of those nations, Paraguay, announced Thursday it was breaking diplomatic relations with Venezuela and closing its embassy there.